Kafka Streams simplifies application development by building on the Kafka producer and consumer APIs, and leveraging the native capabilities of Kafka to offer data parallelism, distributed coordination, fault tolerance, and operational simplicity. A stream processing application – i.e., your application – may define one or more such topologies, though typically it defines only one. Developers can define topologies either via the low-level Processor API or via the Kafka Streams DSL, which builds on top of the former. An application’s processor topology is scaled by breaking it into multiple stream tasks. More specifically, Kafka Streams creates a fixed number of stream tasks based on the input stream partitions for the application, with each task being assigned a list of partitions from the input streams (i.e., Kafka topics). The assignment of stream partitions to stream tasks never changes, hence the stream task is a fixed unit of parallelism of the application. Tasks can then instantiate their own processor topology based on the assigned partitions; they also maintain a buffer for each of its assigned partitions and process input data one-record-at-a-time from these record buffers. As a result stream tasks can be processed independently and in parallel without manual intervention. Slightly simplified, the maximum parallelism at which your application may run is bounded by the maximum number of stream tasks, which itself is determined by maximum number of partitions of the input topic(s) the application is reading from. For example, if your input topic has 5 partitions, then you can run up to 5 applications instances. These instances will collaboratively process the topic’s data. If you run a larger number of app instances than partitions of the input topic, the “excess” app instances will launch but remain idle; however, if one of the busy instances goes down, one of the idle instances will resume the former’s work. We provide a more detailed explanation and example in the FAQ. It is important to understand that Kafka Streams is not a resource manager, but a library that “runs” anywhere its stream processing application runs. Multiple instances of the application are executed either on the same machine, or spread across multiple machines and tasks can be distributed automatically by the library to those running application instances. The assignment of partitions to tasks never changes; if an application instance fails, all its assigned tasks will be restarted on other instances and continue to consume from the same stream partitions. 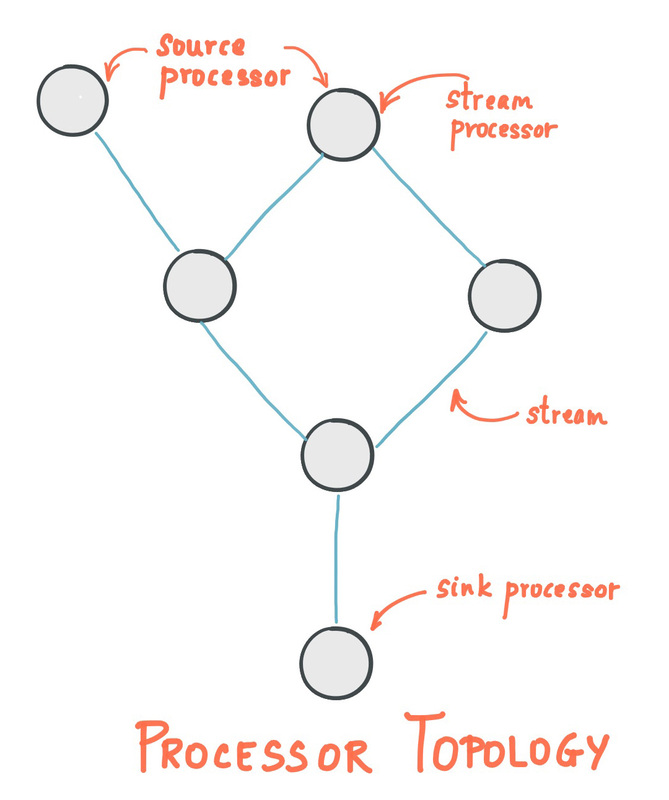 Starting more stream threads or more instances of the application merely amounts to replicating the topology and having it process a different subset of Kafka partitions, effectively parallelizing processing. It is worth noting that there is no shared state amongst the threads, so no inter-thread coordination is necessary. This makes it very simple to run topologies in parallel across the application instances and threads. The assignment of Kafka topic partitions amongst the various stream threads is transparently handled by Kafka Streams leveraging Kafka’s server-side coordination functionality. To understand the parallelism model that Kafka Streams offers, let’s walk through an example. 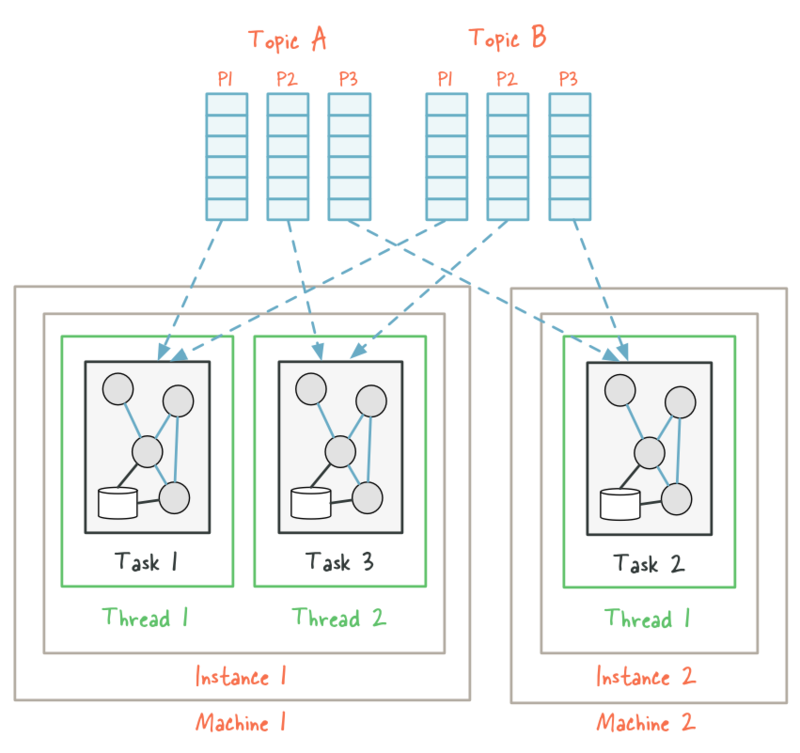 Imagine a Kafka Streams application that consumes from two topics, A and B, with each having 3 partitions. If we now start the application on a single machine with the number of threads configured to 2, we end up with two stream threads instance1-thread1 and instance1-thread2. 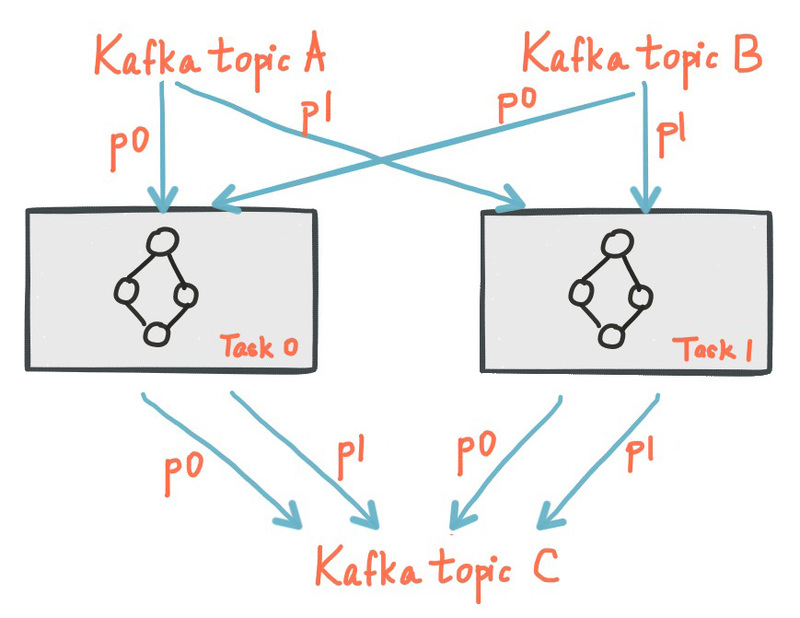 Kafka Streams will break this topology by default into three tasks because the maximum number of partitions across the input topics A and B is max(3, 3) == 3, and then distribute the six input topic partitions evenly across these three tasks; in this case, each task will process records from one partition of each input topic, for a total of two input partitions per task. Finally, these three tasks will be spread evenly – to the extent this is possible – across the two available threads, which in this example means that the first thread will run 2 tasks (consuming from 4 partitions) and the second thread will run 1 task (consuming from 2 partitions). 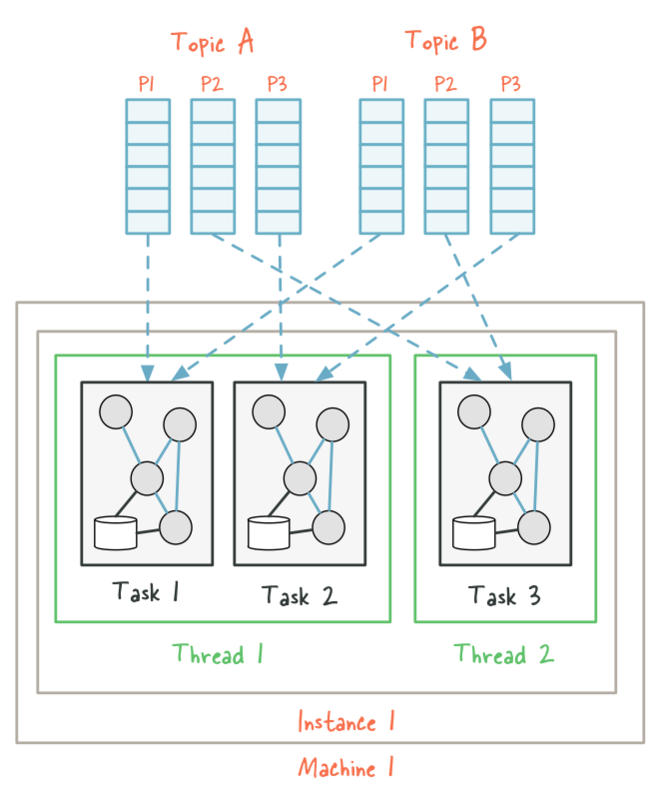 When the re-assignment occurs, some partitions – and hence their corresponding tasks including any local state stores – will be “migrated” from the existing threads to the newly added threads (here, stream task 2 from instance1-thread1 on the first machine was migrated to instance2-thread1 on the second machine). As a result, Kafka Streams has effectively rebalanced the workload among instances of the application at the granularity of Kafka topic partitions. A Kafka Streams application is typically running on many application instances. Because Kafka Streams partitions the data for processing it, an application’s entire state is spread across the local state stores of the application’s running instances. The Kafka Streams API lets you work with an application’s state stores both locally (e.g., on the level of an instance of the application) as well as in its entirety (on the level of the “logical” application), for example through stateful operations such as count() or through interactive queries. The specified cache size is divided equally among the Kafka Stream threads of a topology. Memory is shared over all threads per instance. 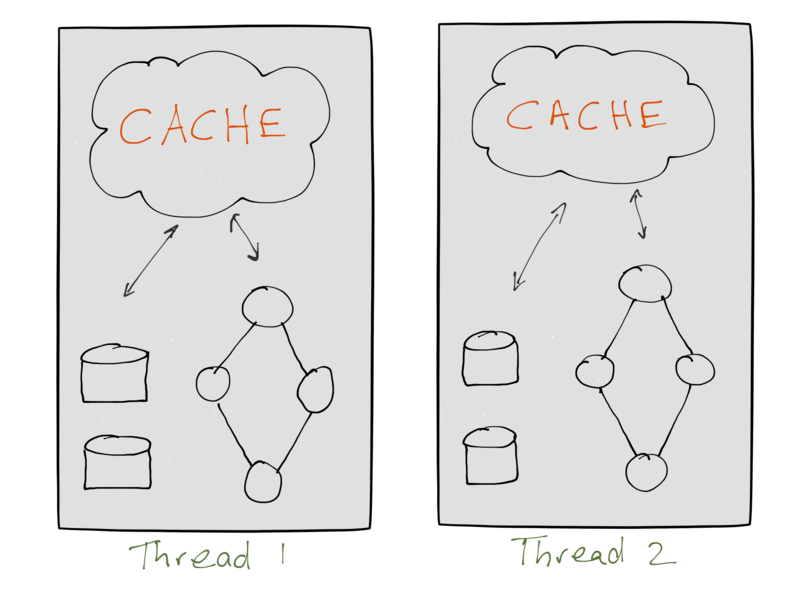 Each thread maintains a memory pool accessible by its tasks’ processor nodes for caching. Specifically, this is used by stateful processor nodes that perform aggregates and thus have a state store. Optimization: The cost of task (re)initialization typically depends primarily on the time for restoring the state by replaying the state stores’ associated changelog topics. To minimize this restoration time, users can configure their applications to have standby replicas of local states (i.e. fully replicated copies of the state). When a task migration happens, Kafka Streams then attempts to assign a task to an application instance where such a standby replica already exists in order to minimize the task (re)initialization cost. See setting num.standby.replicas at Optional configuration parameters in the Developer Guide. As mentioned in the Concepts section, each data record in Kafka Streams is associated with a timestamp. Based on the timestamps of the records in its stream record buffer, stream tasks determine the next assigned partition to process among all its input streams. However, Kafka Streams does not reorder records within a single stream for processing since reordering would break the delivery semantics of Kafka and make it difficult to recover in the face of failure. This flow control is best-effort because it is not always possible to strictly enforce execution order across streams by record timestamp; in fact, in order to enforce strict execution ordering, one must either wait until the system has received all the records from all streams (which may be quite infeasible in practice) or inject additional information about timestamp boundaries or heuristic estimates such as MillWheel’s watermarks. Kafka Streams does not use a backpressure mechanism because it does not need one. 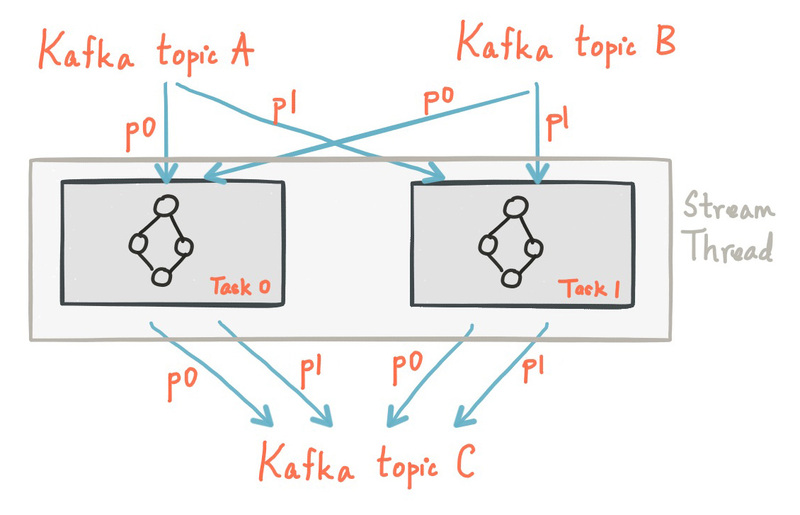 Using a depth-first processing strategy, each record consumed from Kafka will go through the whole processor (sub-)topology for processing and for (possibly) being written back to Kafka before the next record will be processed. As a result, no records are being buffered in-memory between two connected stream processors. 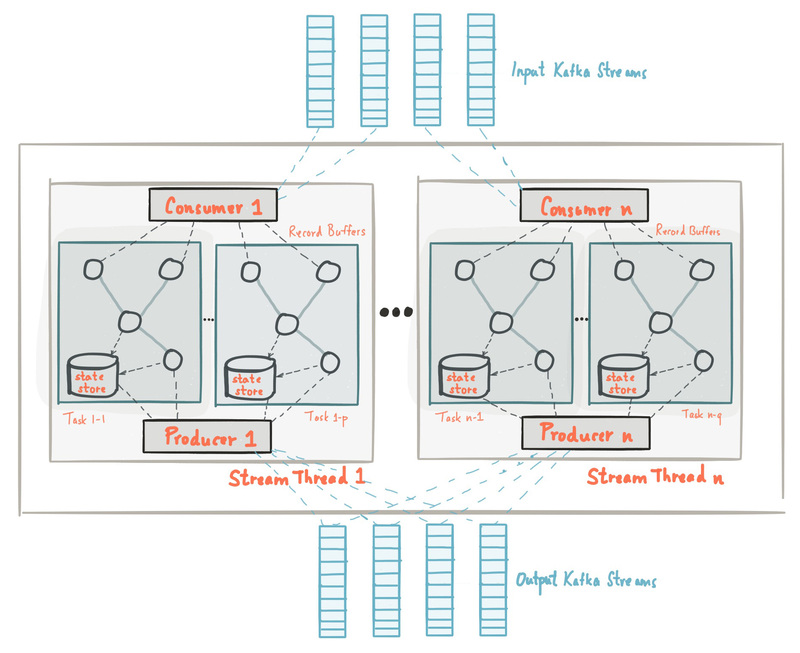 Also, Kafka Streams leverages Kafka’s consumer client behind the scenes, which works with a pull-based messaging model that allows downstream processors to control the pace at which incoming data records are being read. 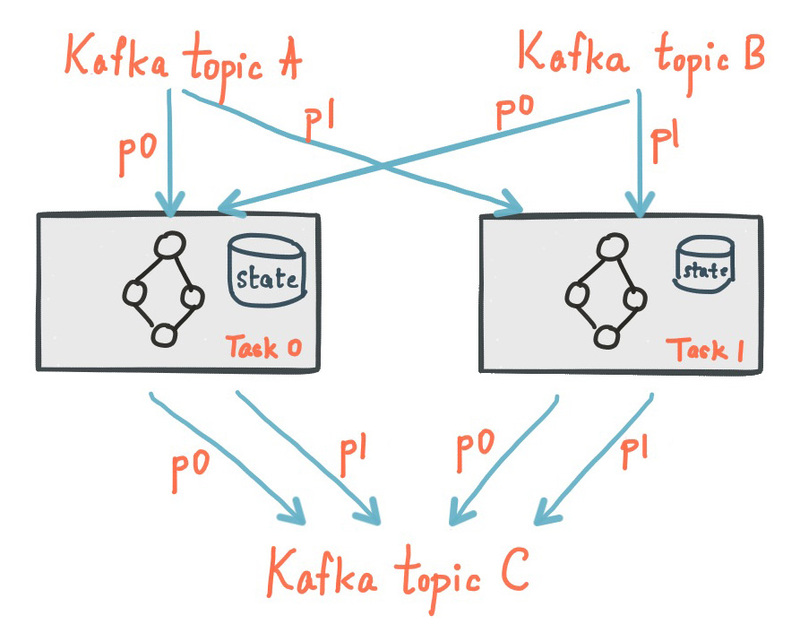 Any data exchange between sub-topologies will happen through Kafka, i.e. there is no direct data exchange (in the example above, data would be exchanged through the topic “my-topic”). For this reason there is no need for a backpressure mechanism in this scenario, too.